It's been a solid week for Nintendo in terms of boosting brand awareness, not necessarily for the current-day, but for the imminent and slightly longer term future. It's been all about Super Mario Run and the Nintendo Switch, ultimately. Beyond that there have been a number of interviews by Shigeru Miyamoto in the US (particularly), while Reggie Fils-Aime appeared on The Tonight Show Starring Jimmy Fallon and also showed off the Switch, the first true showing of the system in public. It looked promising in terms of the visuals and performance of The Legend of Zelda: Breath of the Wild, and the video's been accumulating plenty of views. It'll be fascinating to see what happens when Super Mario Run launches on 15th December. Nintendo and DeNA will need to keep the servers running smoothly, especially as the game needs to be online; we'll also hope to get a sense of how many users go from the free download to buying the full game for $9.99 / €9.99 / £7.99. Do you think the app will be a lucrative success for Nintendo? I'm in Japan! Watching the share price rise in 3 time zones! It's a fantastic time to invest in Nintendo shares even now! we are expecting a rise ! Pokemon GO was a surprise - the announcement of Super Mario Run at the Apple Event was a complete surprise - the gains now are expected and calculated. . . solid investment for Nintendo. . . I'm glad Nintendo is making a name for itself again. I just hope their recent focus on mobile doesn't have an effect on the quality of the Switch and its games. I doubt it, since mobile games wouldn't be exceedingly difficult for a company like Nintendo to make. Maybe that means they should advertise more?? Naw, that would be silly! I think the app could be a more lucrative success for Apple between their 30% cut and maybe even getting more people to upgrade or migrate from Android. Any time Nintendo wants to tell us when the game comes to Android we're all ears. I'm fine w/ them going to mobile, a few years late if you ask me, but being a trophy on Apples wall irks me. Artist's rendition of Tim Cook's den. Maybe somebody will find this useful, and maybe some super effective person can figure out probable Android specs. I'm not sure the game will be successful. And it definitely won't be as big as Pokemon GO. Stocks go up with mobile announcements. Not such with console/handheld announcements. So critical Switch is a big hit that first month. If its DOA Nintendo might be switching to full mobile by the start of 2019. Even though it's gonna be a success story, I'm sad to see that these mobile "games" creates more buzz than anything else nintendo did since the Wii. A little part of my fandom to nintendo dies everytime a new mobile game is released 😧 mobile phones are killing so many industries, I feel sorry. Well I played it today in an apple shop and I didn't think much of it. @cfgk24 ummm. Possibly would have been better to buy weeks ago after it fell. @farore311: Agreed. I'm not against smartphones having entertaining games, but other than decent efforts like Super Mario Run, Pokemon Go, Sonic Dash, etc., most seem like sub-par pirates and/or add-riddled cash-grabs. The sad thing is, many parents opt for smart devices to entertain their kids nowadays due to relatively cheap costs. That's all well and good, but they're trading cost/accessibility for quality. If someone has more than a passing interest in gaming, I think they should try an actual console, both TV and handheld. There's also a Metroid runner coming, where you play as Reggie in a Samus suit running away from Metroid fans who want an actual new Metroid game. @AlexSora89 They did. It's called Federation Force! The Fallon segment was good. I don't play phone games, but Mario Run looks very good. Switch looks awesome. That was good exposure for Nintendo and hopefully they keep it up. The Fallon Q&A revealed that you can play over three worlds of the game for free. While this is very generous, I can't help but feel they're offering too much gameplay for free. 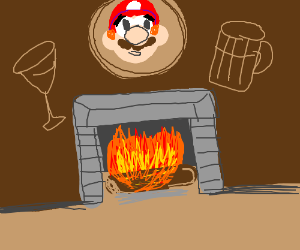 @ottospooky There probably won't be purple or black coins then I'd guess. @ottospooky that's great. I thought it was 3 stages but 3 worlds is so generous of Nintendo. It's almost too hard to believe. Yay dramatic people being overly dramatic. Investors do love their mobile games. 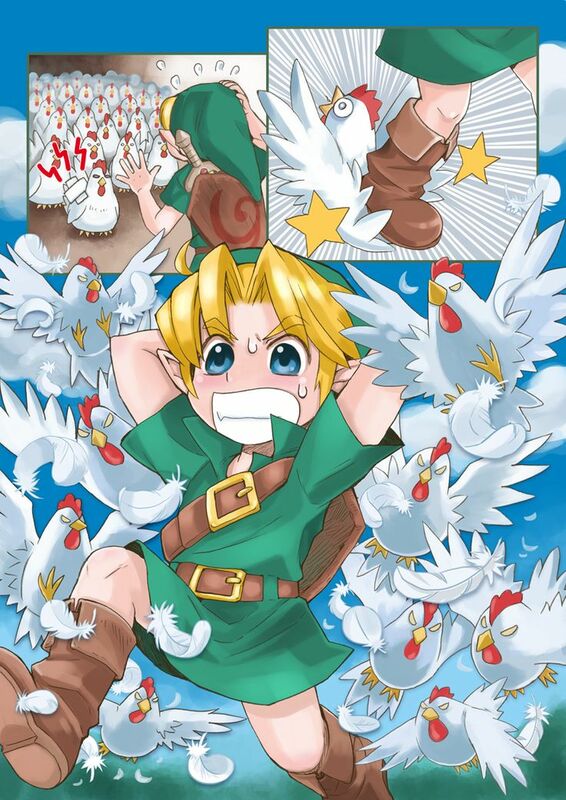 LoZelda Run would be hilarious. have all the people whose pots Link has broken over the years chase him. Reggie got in the Federation? 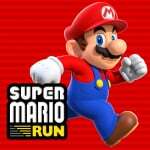 If I buy super Mario run on my phone, and they use the same apple account, is it free on my tablet? @BensonUii and that there is the most annoying part of it all. I'm very optimistic about Nintendo's future "now with greater visibility!" They aren't going to stop putting out highly-polished, fun and imaginative games. And that's all that matters to me. I love the video with Jimmy Fallon and Reggie showing off both Super Mario Run and the Switch. Shame it doesn't work offline..I was really excited for it...now I won't care by the time it comes out on Android unless they've fixed that for single-player. So after making little money with innovative quality products, Nintendo finally gave in. Now they will make uninspired cheap products and make tons of money with it. @Roam85 yea it should be as I have 4 iOS devices with same apple account. So fingers cross it should. Nintendo is back, printing money again like the DS/Wii days. They're the most easily defeated enemies in the game. Defeating them with missiles causes the "SMAAAAAAAAAAASH!" sound effect to make a surprise cameo. The few sales Nintendo will lose from not having offline will be offset by the sheer amount of piracy that it will stop. @shani Or they'll use that money to continue making innovative, quality products. @BensonUii I find the best way to look at the whiners is to laugh at their outrage because in all honesty none of this is worth getting upset over. @KirbyTheVampire I really hope that you are right! @At_Lazuli: I could've responded with: "Why not? The path Nintendo are following recently doesn't offer any reason for optimism." I'm usually not that cynical and I never have been cynical regarding Nintendo before all of this (Switch, Mario Run, letting Wii U die while overly supporting 3DS). I have always been observant, benevolent and optimistic because of their track record. I always said "be patient and let them do their job, usually they amaze and surprise us with their products". For years, I have been argueing against overly cynical users and people who engaged in doom-mongering ("Nintendo is dead" or saying "the Wii U is dead" long before that was a fact). People underestimate how these things take a life of their own in the internet, how rumours and false facts get circulated and amplified through users and online media, up to the point that investors and game developers start to believe them (we're seeing the same thing regarding politics right now). I generally don't like the tendency of online users to oversimplify complex matters, to regard them only in a perfunctory way or to respond to them only in extremes (e.g. the negative reaction to No man's sky - a game that I looked forward to and defended prior to its release - was well-deserved, because of what Hello Games publicly stated. But people tend to overlook that it was mainly Sony who generated all the hype for it and how they blew an indie project out of proportion and created false hope. All of the criticism is well-deserved and still it was too extreme. It went too far. It was too personal. If a developer does something wrong, gamers react with extreme and disrespectful anger and sometimes with a weird sense of entitlement - which is to say that I can't dictate Nintendo what to do, I can only state my opinion and make my voice heard). But the thing is: Nintendo left the course they were previously on. The bold and risky course of innovation. Their stance of "I don't care what the mainstream says, I don't care for existing conventions, I will do my thing because I believe in it". The "I believe in innovation and trying out new things, even if no one will recognize my ambition". Also their stance of only delivering quality products and nothing less. They left all of this behind because of a commercial failure, which only happened because of poor or even non-existing marketing efforts and lack of 3rd party support. Now they are on a safer path: producing sub-par and uninnovative smartphone games, letting their unpopular child die and instead loving their popular child more, and creating a new child that delivers no innovation but rather a "feature" that on the one hand was kinda foreseeable (if you look at the Wii U) but at the same time has to make too many compromises. They could've offered portability as a side-feature instead of desperately making it the central thing which ment throwing away (almost) every good idea they had before + not incorporating other great ideas that would've added something new. The whole focus of the Switch essentially lies on a single minor feature and it has no big features, nothing that makes it special, nothing that makes it stand out. Nothing that will change gaming as a whole. Instead of continuing to think big (how can we change how people experience games? How can we invite more people into the gaming community? ), Nintendo is thinking small (how can we make the most profits?) now. Essentially, Nintendo became just another normal company like the others. But more importantly, Nintendo made the wrong conclusions following the Wii U's commercial failure. Instead of looking for the real problems and the real reasons for the failure (marketing didn't explain the benefits very well, Nintendo didn't support 3rd party developers enough and didn't make developing as attractive for them as Sony and MS do), their conclusion was: "Home consoles don't sell, handhelds and mobile games do sell. Let's only sell handheld and mobile games from now on." They didn't care that the quality of those handheld and mobile games is inferior. They didn't care that their home console offered a great innovation and addition to gaming that - when properly explained - convinced everyone I ever showed it too. It speaks volumes when people still see my Wii U and think it's a brand new console. Obviously it wasn't marketed (well enough or at all). Instead, they reacted in the most stupid/simple and unreflected way possible: They only looked at the result, not at the reasons for the result. They didn't think of the possibility that maybe they did it the wrong way. Nintendo killed their home console sector just out of fear and because they weren't able to reflect on their errors. Which means they will most likely do the same mistakes (marketing etc) again. And if that wasn't enough, they even have the audacity to market their new tablet as a home console! How can you not react cynical to such ridiculous behaviour?